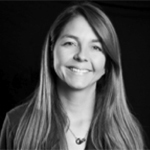 Dr. Sandra Garcia is an Associate Professor in the School of Government at the University of Los Andes in Colombia. She teaches Policy Evaluation, Quantitative Methods, and Poverty, Inequality and Public Policy. She conducts research on social policy, particularly child and family policy, health and education disparities, and children poverty. Sandra has extensive experience on the impact evaluation of social programs in educational and health outcomes. Sandra recently served as the Principal Investigator for UNICEF-funded research project that developed participatory measures of poverty and wellbeing in children and adolescents. She was also the Principal Investigator for Fundacion Corona-funded research project that developed a mixed-methods methodology to examine the determinants or early school dropout in Colombia. She received her MPA in 1999 and her PhD in Social Work in 2007 from Columbia University.